Stage Make Up & Face Paints | Buy UV Body Paint. Buy professional stage make up as well as body paint and children's facepaint here. 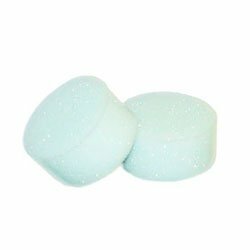 Our range of stage makeup includes a wide selection from Diamond FX. 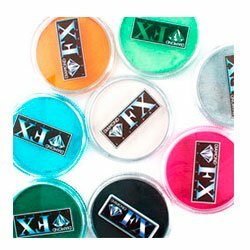 Diamond FX can be used a face paint as well but as it's more durable than children's face paints it takes a bit more effort to remove, which children may not like! We also have a range of special effects make up for creating realistic looking wounds and scars. 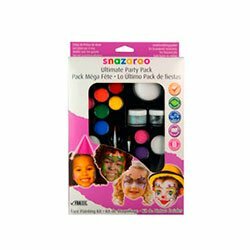 The children's face paint we have for sale comes from Snazaroo. We've got a huge range of colours and face paints sets that are perfect for children's parties, Halloween and other holidays. Snazaroo also have a great range of books that have awesome ideas for face painting and give instructions on how to paint faces. We also have UV face and body paint available. 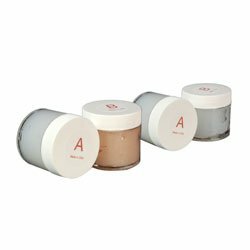 These paints are great for parties, raves and festivals but they can also be used as stage make up. 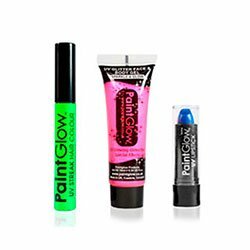 Our UV body paints and make up include lipstick, eye shadow, hair streaks and glitter.